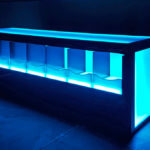 This beautiful LED Lighted table for rent with light up panels is designed as the ultimate gaming or storage table. 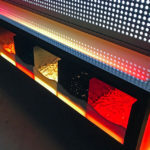 The shelves underside the tabletop are removable that will allow you to use the rented LED table alone. 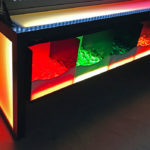 The moving lights will coordinate in the top surface and shelves when in motion mode. 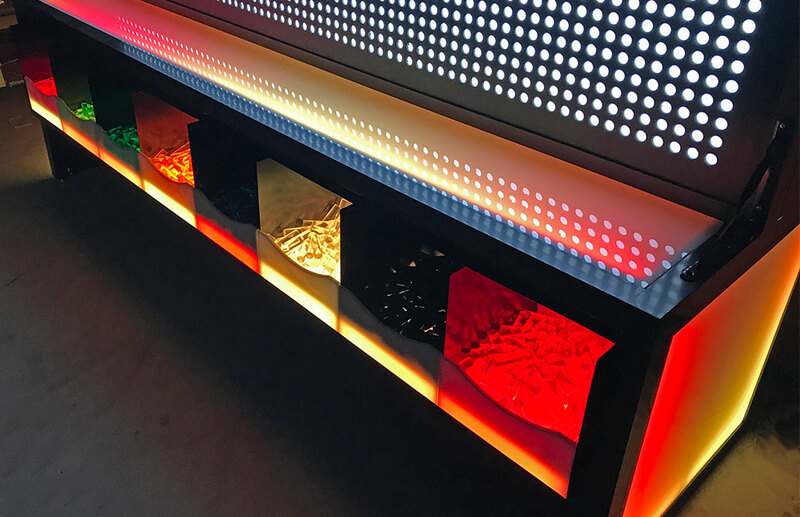 Choose from hundreds of moving color variations to light the room and create the right ambience. 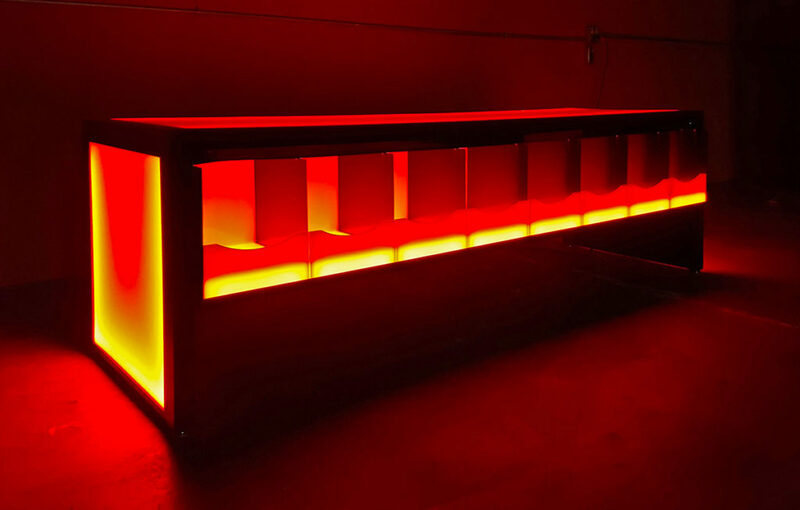 The LED Lighted table for rent is American custom-built 2×2 aluminum frame holds a lot of weight and prevents sag. 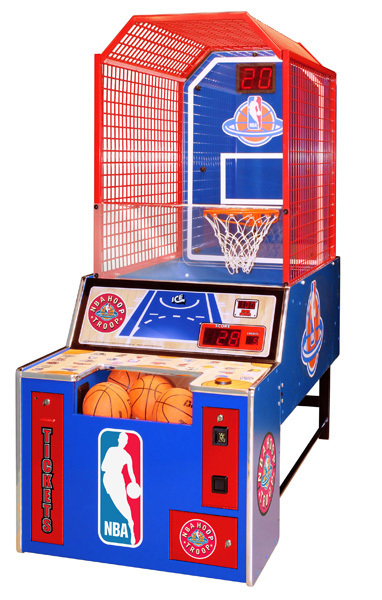 The materials used in this table are top quality plastic panels and aluminum tubing. 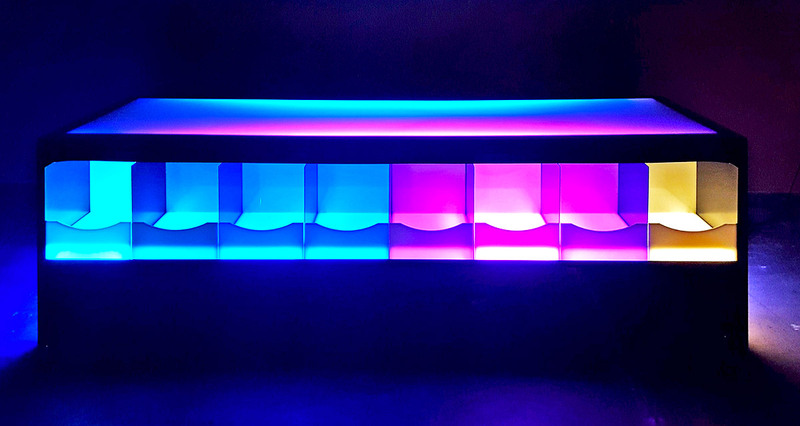 The best LED lighting with programable multi button remote control. 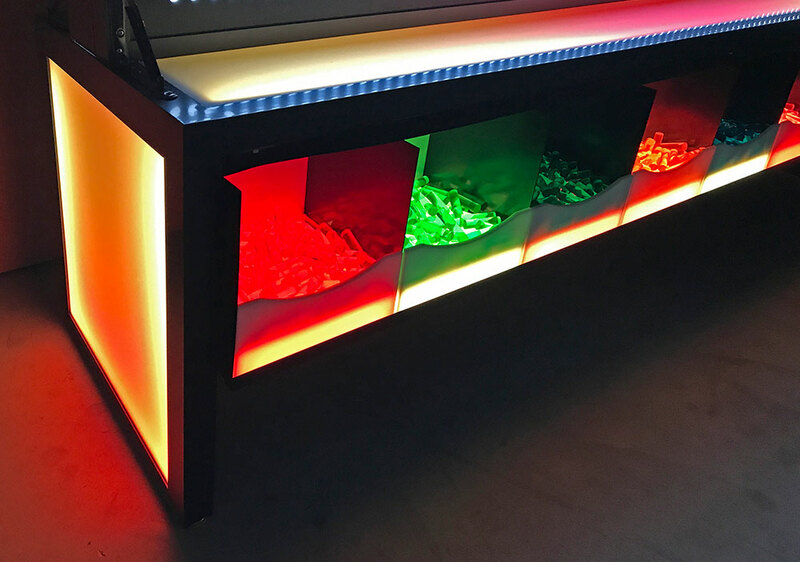 This table for rent was originally designed for Giant Light Bright Illumination Station game to store the color pegs in the shelving bins as pictured. 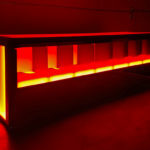 The table can be used to store small idem during the even as an illumination to add the right ambience to the event. 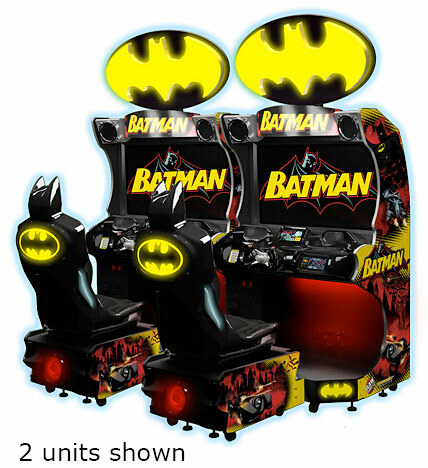 Video Amusement delivers our LED Lighted table Rentals in California, San Francisco, San Jose, Santa Clara, Santa Cruz, Palo Alto, Monterey, Sacramento, Los Angeles, San Diego, Silicon Valley, East Bay, Central Coast and Bay Area cites as well Las Vegas Nevada. 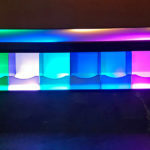 Interested in customizing the LED Lighted table for your specific event? Feel free to give us a call and we will let you know what options are available for customization. 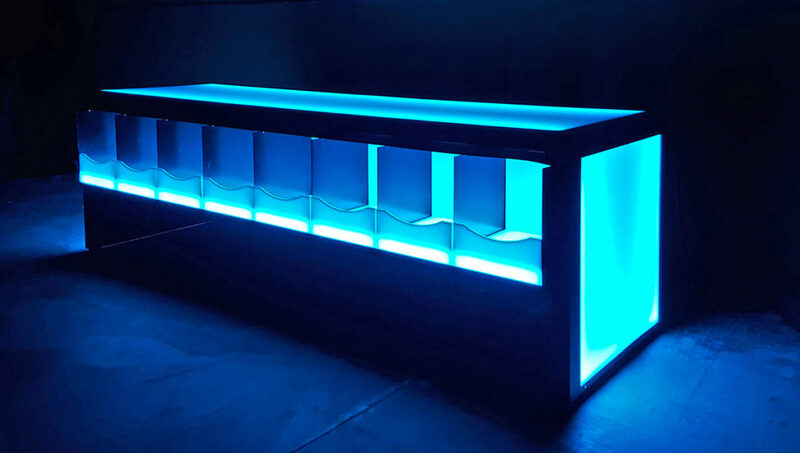 This LED Lighted table is sure to be a hit at any of your special events!